Smoke rises out of a Brighton Park home on October 27, 2015. Two people were injured, one critically. 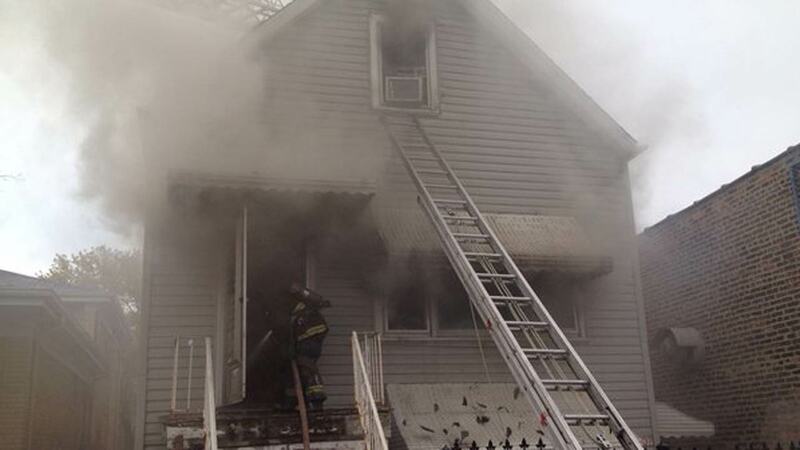 CHICAGO (WLS) -- Chicago firefighters rescued a 22-year-old man who was trapped on the second floor of a burning home at 46th and California in the Brighton Park neighborhood. He was transported to Stroger Hospital where he is in serious to critical condition, Chicago Fire Department officials said. Another person who escaped the fire refused treatment at the scene. The fire on Tuesday morning caused substantial damage to the single-family home, fire official said. Investigators have not said what caused the fire.